Welcome to the first in a series of Distillations blog posts on Fish Trademark & Copyright Thoughts. Distillations will discuss notable decisions and developments in trademark and advertising law as they relate to the beer, wine, and spirits industries. These areas are seeing rapid growth in trademark, copyright, and advertising disputes due to the increasing number of smaller “craft” players entering the market and new branding efforts of more established companies in the face of new competition. These days, more and more hobbyists are bottling their own beverages, and the lure to go commercial is strong. As frequently happens when an industry booms, a hangover follows the binge: legal battles are erupting in the courts, in the Trademark Trial and Appeal Board, and in social media and the court of public opinion. This series will highlight these disputes, and offer commentary and best practices for avoiding or overcoming these issues. If you would like to discuss your brewery, vineyard, or distillery brands with the Fish team, please feel free to reach out to John McCormick ([email protected]) and Bob O’Connell ([email protected]). While many would expect the inaugural Distillations blog post to feature one of the many craft brewery disputes, we have instead decided to embrace the diverse range of issues we will cover and discuss instead a different fermented beverage: sparkling wine. First let’s look at a brief history of branding in the wine industry. Prior to March 10, 2006, any U.S. wine maker selling its products in the U.S. was able to brand its wines with a semi-generic name, which is a term originally having geographic significance that is also a designation of a class and type of wine. For instance, a U.S. wine maker was able use the term “sherry” in a wine brand if the product comported with the general requirements for being designated as “sherry,” even if it was not from the Jerez region in Spain. Vintners and dealers were able to use this type of branding in the U.S., but not in the EU – the EU required that a product bearing such a semi-generic name originate from the identified region. On March 10, 2006, the U.S. and the EU signed the Agreement Between the United States of America and the European Community on Trade in Wine (the “US/EC Wine Agreement”). This agreement addressed a range of issues regarding the production, labeling, and import requirements for wine. Significantly, after the US/EC Wine Agreement became effective wine makers in the U.S. were no longer able to use such semi-generic name unless the wine actually originated from the place in question. There was, however, a significant exception (the “Grandfather Clause”) which allowed any U.S. brands which had been using a semi-generic name before March 10, 2006, to continue to use the name – in limited circumstances. The Grandfather Clause will be discussed in a future post. As you might imagine, the U.S. sparkling wine industry was significantly affected by this agreement. It is due the US/EC Wine Agreement that you will not see the word “Champagne” on the label of a new U.S.-produced sparkling wine. Two French organizations — the Institut National de l’Origine et de la Qualite (“INOQ”) and the Comite interprofessionnel du vin de Champagne (“CIVC”) — regulate and monitor the wine industry in the Champagne region, but more importantly for our purposes, are particularly active in defending the use of “Champagne” on non-French products. However, as one unfortunate applicant found out last July, the INOQ and CVIC do not simply protect the use of the exact word “Champagne,” but they scrutinize any mark that they believe is confusingly similar to “Champagne.” In July, 2016, the French organizations filed an opposition against a U.S. trademark application for the mark CHAMPLEASURE for “sparkling wine.” Opp. No. 91229192. The opposition argues that CHAMPLEASURE is likely to cause confusion with “CHAMPAGNE,” that it dilutes the famous “CHAMPAGNE” mark, and that it is misdescriptive. While the INOQ and CVIC are active in defending the CHAMPAGNE mark, they are not always successful. 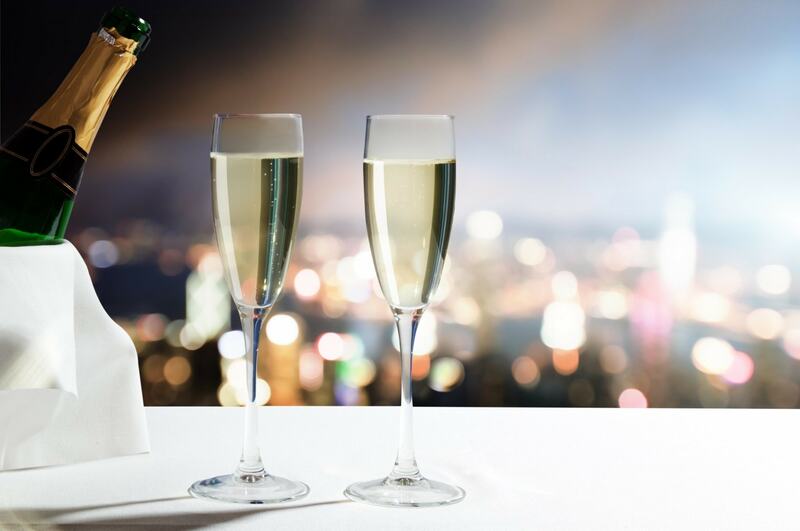 In a non-precedential opinion in 2013, the Trademark Trial & Appeal Board (TTAB) found that CHAMPARTY for “alcoholic beverages except beers” was unlikely to cause confusion with the certification mark CHAMPAGNE for sparkling wine. Central to the Board’s holding was that the CHAMPARTY mark is a fanciful term, and that it was possible that consumers would view the mark as a telescoped form of CHAMP and PARTY. Additionally, the TTAB was unpersuaded by the argument that –PAGNE and –PARTY are in any way similar in appearance, sound, or impression. In other words, CHAMPARTY was able to overcome the opposition by highlighting the differences in the marks themselves, notwithstanding the overlap in goods. Returning to the CHAMPLEASURE case, the Applicant in its answer to the Notice of Opposition acknowledged that “Applicant’s mark is merely suggestive of Champagne.” This admitted connection between CHAMPLEASURE and CHAMPAGNE may end up costing the Applicant if it permits INOQ and CIVC to reinforce their claims particularly as to dilution, which requires a showing of an association but not necessarily confusing similarity. This case will be interesting to watch. Given the INOQ and CIVC’s aggressive tendencies, members of the alcohol industry should expect to encounter some form of objection if they use or file an application for a mark which incorporates not just the exact word CHAMPAGNE, but also either a CHAMP- or -PAGNE element. Indeed, for that reason, we would expect that Short’s Brewing Company’s U.S. application for CANPAGNE covering “wine),” which was published for opposition on February 28th, will also be opposed. If Short’s decides to defend its mark, it will certainly be an interesting case to see play out. Agreement Between the United States of America and the European Community on Trade in Wine: https://www.ttb.gov/industry_circulars/archives/2006/06-01.html.